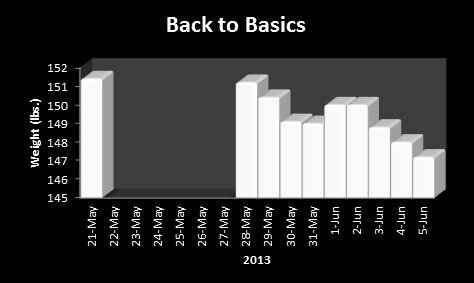 Results after nine days of “Back to Basics”. Lost 4.2 lb over a 9 day period. No cheating with the carbs ! You all know what I mean by this one….no little treats, no bites of the potatoes/rice I make for the family, no sampling one little sushi from my daughter’s plate (the list goes on and on).